We know that drinking and driving is dangerous. In Colorado, it is illegal to drive under the influence of drugs or alcohol. Traditionally, in a prosecution for driving under the influence of any drug the government had to show that the drug impacted a person’s ability to drive as he or she normally would. Recently, Colorado has made a special exception for Marijuana and enacted a presumption that if the driver had a blood concentration of 5 ng/mL or higher of THC-COOH, a jury could presume that the driver was under influence of Marijuana. This special treatment of marijuana as compared to other drugs is mostly likely an overreaction to the de-criminalization of marijuana in Colorado by law enforcement, prosecutors, and legislatures. VERY IMPORTANT: The marijuana presumption does not mean that you are automatically guilty. If you or a friend are accused of DUI- Marijuana, consult with a DUI attorney with specific knowledge of Marijuana before you make any permanent and damaging plea decisions. This post seeks to explain why Colorado THC laws 5 ng/mL of THC-COOH presumption contained in C.R.S §42-4-1301(6)(a)(4) is unreliable and could result in false convictions. 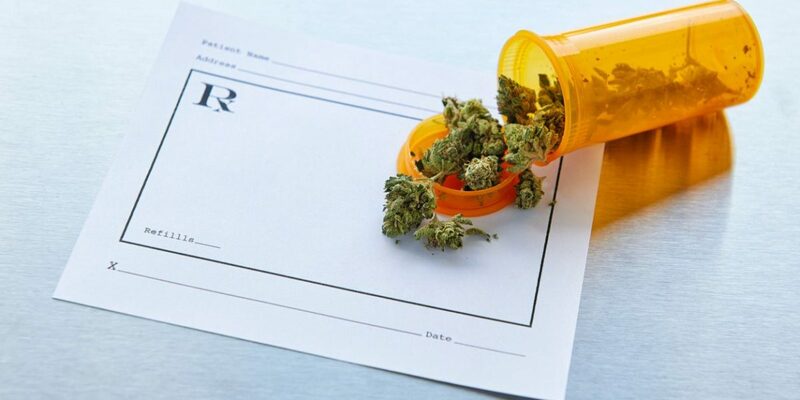 The idea that marijuana should be treated differently then other drugs is problematic in criminal law and DUI prosecution because all drugs, including marijuana affect individuals different. This means that there cannot be a certain blood concentrate of THC that would impair every user. The metabolic rate for all drugs can vary significantly from one person to the next and a dosage that works for one may not work for another. That is why we have different dosage of medicine for different people, it is not a one size fits all. That is why the pharmaceutical industry makes prescription drugs in varying strengths. To further complicate the issue, THC can remain and show-up in a blood test days, weeks, even months after use. It would be like taking an alcohol test and it measured not only the alcohol that you drank that day but for the past month. It is possible that a driver would most likely NOT be under the influence of marijuana, but could still show significant THC-COOH levels. The National Highway Safety and Traffic Administration (NHSTA) produces information for the use of the government in the prosecution of drug DUI. NHSTA admits that a person’s individual drug metabolite, overall usage, and does of marijuana can impact the blood concentration of THC. Due to these factors a person’s THC blood concentration alone cannot establish a relationship to impairment. The current Colorado THC laws regarding marijuana presumption could lead to a false arrest or conviction for driving under the influence of marijuana. Prosecutors do not typically understand the difference between active THC and inactive THC in a blood concentrate or the length of time that THC may remain in a person’s body. A false conviction for a Marijuana DUI could result in fines, restricted use of both alcohol and marijuana, jail time, mandatory substance abuse classes and therapies, fees, revocation of a driver’s licenses, restricted licenses uses, and increased insurance costs. In addition a person could face collateral consequences such as: job loss, and the stigma of a permanent criminal record. This presumption for Marijuana DUI means that -you need an attorney to ensure the government can show that marijuana, not just a test resulted impaired your ability to drive and if it can’t that you have an attorney fluent with Colorado THC laws fight for you. If you, a friend, loved-one, or someone you just met is being affected by Colorado THC laws or is facing a criminal charge for driving under the influence of marijuana, contact us today for a case evaluation at (303) 747-4686.